However the conversation is framed—in the terms of connoisseurship, classicism, nostalgia, or sheer geekdom—a great deal of the public discourse on jazz tends to be fixed on the past. The unearthing of obscure recordings by historical masters such as John Coltrane or Thelonious Monk is celebrated as a major development. Critics measure new artists in relation to the old, reserving their highest praise for those who remind them most of Miles Davis or Billie Holiday. In New Orleans, the ostensible birthplace of jazz, the annual big-tent event is called the Jazz and Heritage Festival, reinforcing the link between the music and history by branding it. What is the heritage of New Orleans without jazz? And what is jazz if not a heritage? Actually, as the music is created by a sizable number of musicians working today, jazz is something other than—and maybe something more than—a heritage. It is a way to confront the particulars of the present day and give voice to what it feels like (and sounds like) to live in a time of seemingly endless access and cultural volatility. While some jazz critics are at home in the present (I’d like to think of myself as one of them), no writer has confronted the of-this-moment character of contemporary jazz with the clarity and authority that Nate Chinen has brought to it, first in his journalism and now in a daring and illuminating book, Playing Changes. Chinen, a former critic for The New York Times, now oversees editorial content at the jazz radio station WBGO. But while on his beat for the paper, he was delighted to discover that jazz is very much a living form, stylistically capacious and mercurial. He found cross-cultural variety in the music of the Benin-born guitarist Lionel Loueke and the Puerto Rican saxophonist Miguel Zenon. 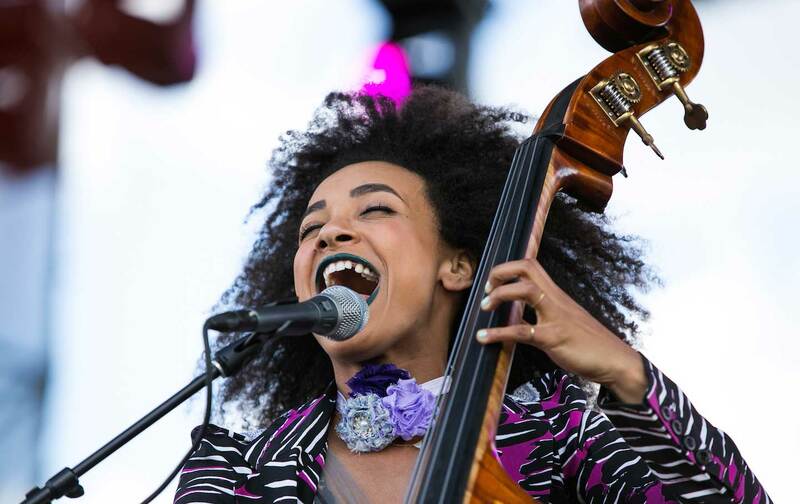 He found polyglot genre-twisting in the music of the bassist and vocalist Esperanza Spalding and the saxophonist Kamasi Washington. In Playing Changes, Chinen crystallizes the ideas he began to explore, piece by piece, as a critic, and expands them to provide the first exhaustive inquiry into the state of jazz in the music’s second century. It’s a mark of his discipline and wisdom that Chinen constructs no grand thesis and offers no unifying theory of 21st-century jazz, beyond pointing out that “we have boundless permutations without fixed parameters.” He stays close to the ground, taking us along as he watches recording sessions, goes to shows, visits musicians and engages them in conversation, and listens. Above all, he listens. A skilled reporter and superb prose stylist, Chinen observes events keenly and writes vividly, but what makes his writing uncommonly penetrating is that he is a listener of true brilliance. His mind is as open as his ears. In 12 pithy, breezy chapters, Chinen takes up as many themes and subjects, among them the tradition of innovation in jazz; its frequent collapse of long-standing categories and genres; the “uptown/downtown” scheme of aesthetic bifurcation that has reductively cast the jazz world into competing camps of avant-gardism and conservatism; the intermingling of musical styles from around the globe; jazz education and tutelage; and the influence of jazz’s elders on emerging talents. In a handful of chapters, Chinen takes up individual musicians like the pianist Brad Mehldau, the saxophonists Steve Coleman and Kamasi Washington, and the guitarist Mary Halvorson, and lingers on their music and personalities. There’s not a page without an insight, deftly put, or an exquisitely pointed and evocative description of music. Discussing the composer John Zorn, an exemplar of resolute adventurism for a new generation of experimenters in, around, and outside of jazz, Chinen writes: “The music for [his group] Masada involved lyrically terse, coiled-spring melodies—derived from modal Jewish scales (often the Phrygian dominant, also commonly found in thrash metal)—and a rhythmic motor that could seize up and overheat but also swing straight down the center or simmer into a groove.” Chinen hears everything in the music, understands the relationships between the elements, and knows how to explain it all. I have been in the same jazz clubs and seen the same shows as Chinen dozens of times, but have only exchanged collegial pleasantries with him. Reading Playing Changes, I felt as if I were spending a luxurious weekend away in close quarters with a smart new friend who loves the music I love, perhaps even more than I do. Playing Changes is not consistently deep as criticism; it is too ardent a work of advocacy to cast much doubt or take up awkward or displeasing aspects of the work Chinen discusses. He examines the jazz of our time with an open mind and an attitude of boundless positivity. But my weekend away with him, by way of his astute and beautiful writing, was so great that I’m not ready to go back home.